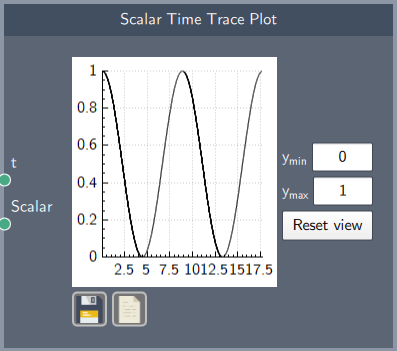 A plot to visualize a scalar value over time. t - noted as an " i " in both the "for loop" and the " Grape Optimization" node. Scalar - the interesting scalar input.